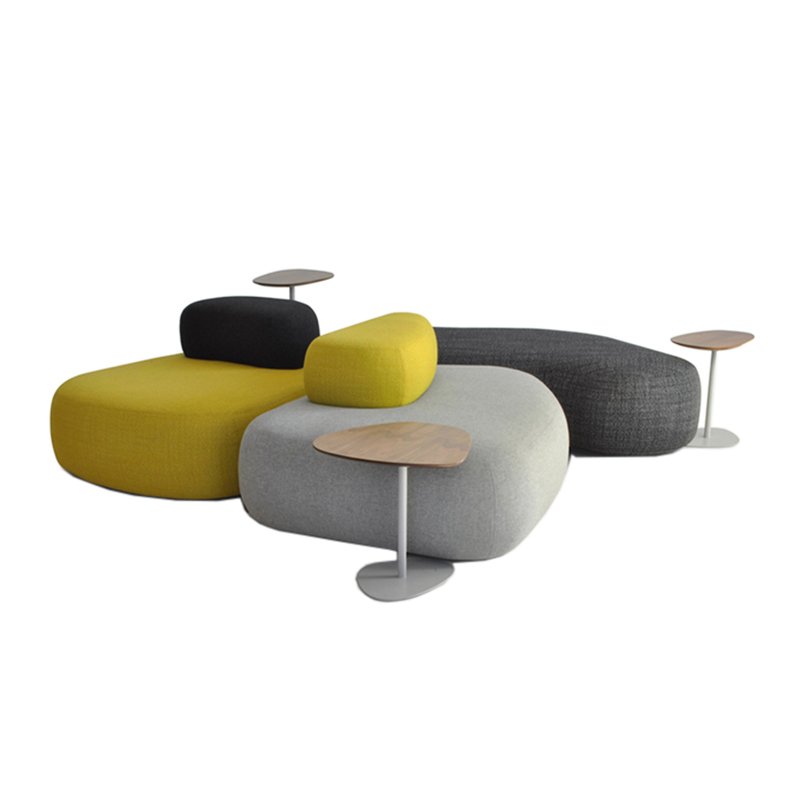 ﻿ Hitch Mylius | Product categories | Matisse (China) Ltd.
Hitch Mylius’s collection includes in-house designs as well as the results of collaborations with established international designers and young design talent. Designs are developed and prototyped at our factory in Enfield, north London; our manufacturing experience, design heritage, and an understanding of sustainability combine to give our customers the highest quality, contemporary upholstered furniture that is relevant for the modern contract environment. 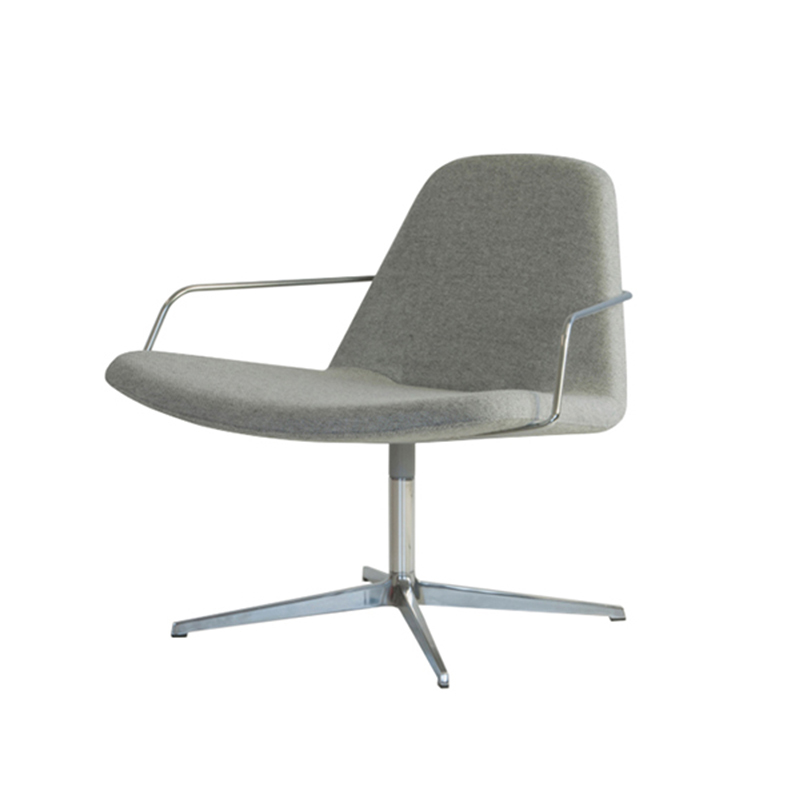 A light, fresh variation on the classic tub-chair theme, hm22 is ideally suited to corporate, leisure and public area seating where its compact proportions and contemporary design will complement and enhance any environment. 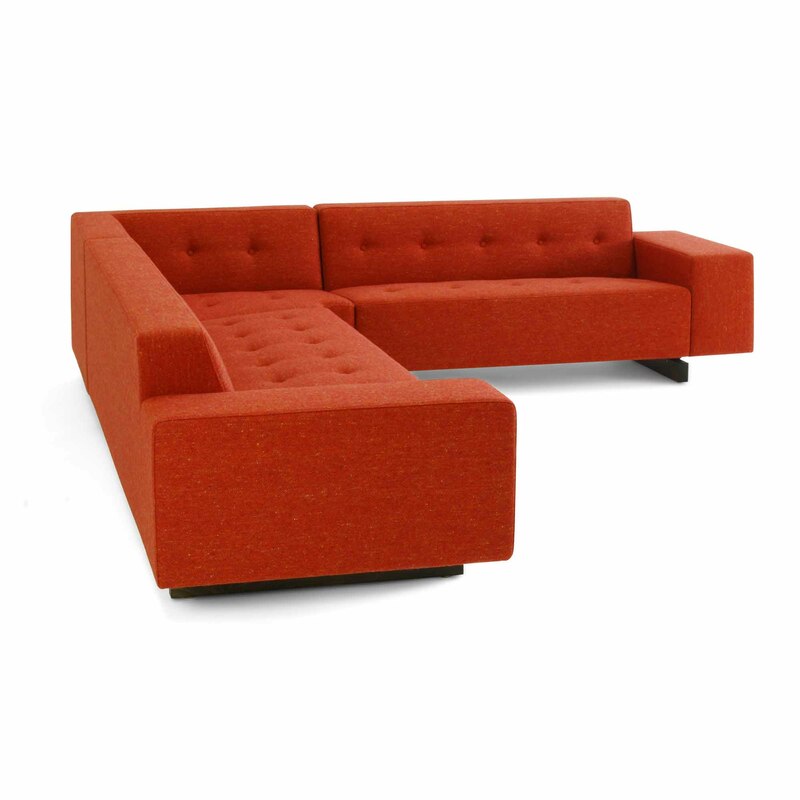 A classic sofa design, beautifully detailed with generous proportions, hm46 has a comprehensive collection of single, 2- 3- and 4-seat elements with square and curved corner units to suit the widest range of interiors. Seats and backs have button detail – contrast buttons can be specified – and units sit on dark stained solid beech runners. 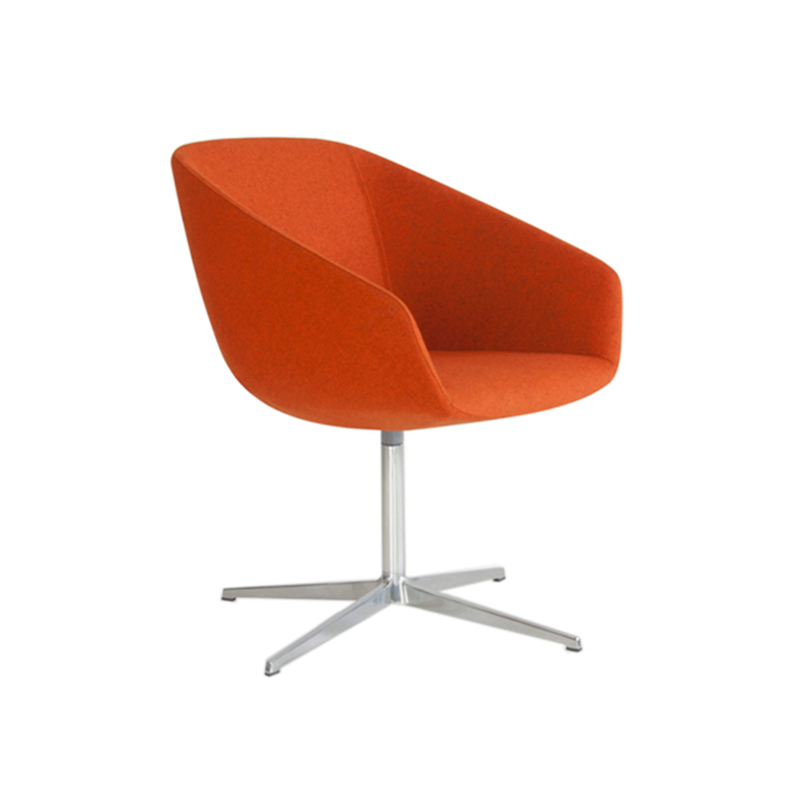 The collection can be upholstered in a wide choice of fabrics and hides, and multi-tone upholstery is available; seat, arms and backs can be specified in different fabrics and leathers. Frames are of FSC-accredited beech and panel construction with sprung seat and graded cmhr polyurethane foam with a polyester wrap . Runners can be specified in natural beech or oak, or stained to match your sample. Special sizes are available, including alternative heights; please contact us to discuss your requirements. Power and data units can be installed into the arms of the hm46; please contact us for options. 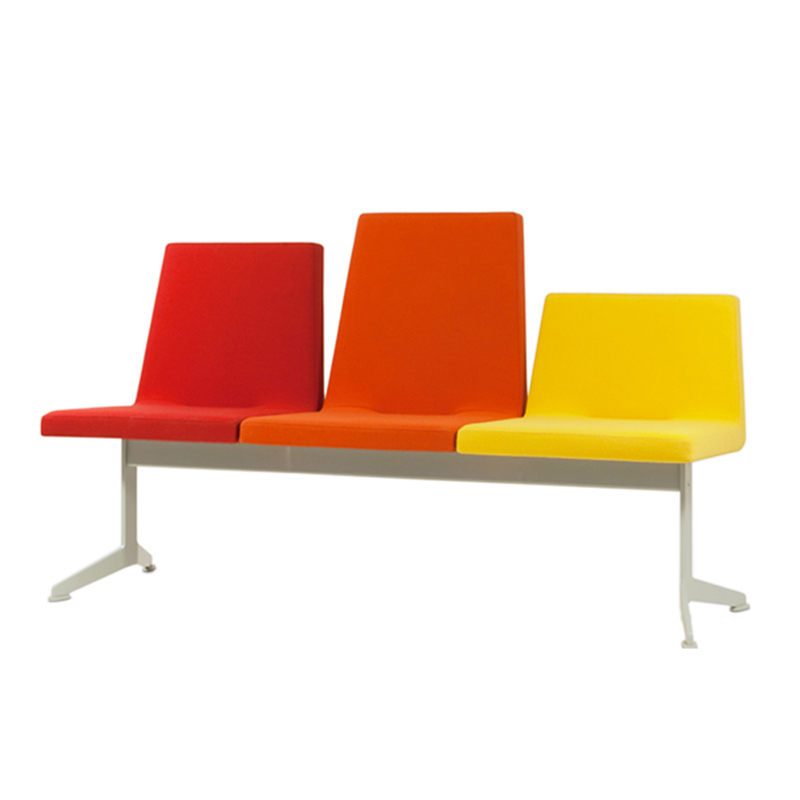 Architects Olaf Kneer and Marianne Mueller's iconic seating design develops a simple, playful profile into a comfortable and versatile range of products. 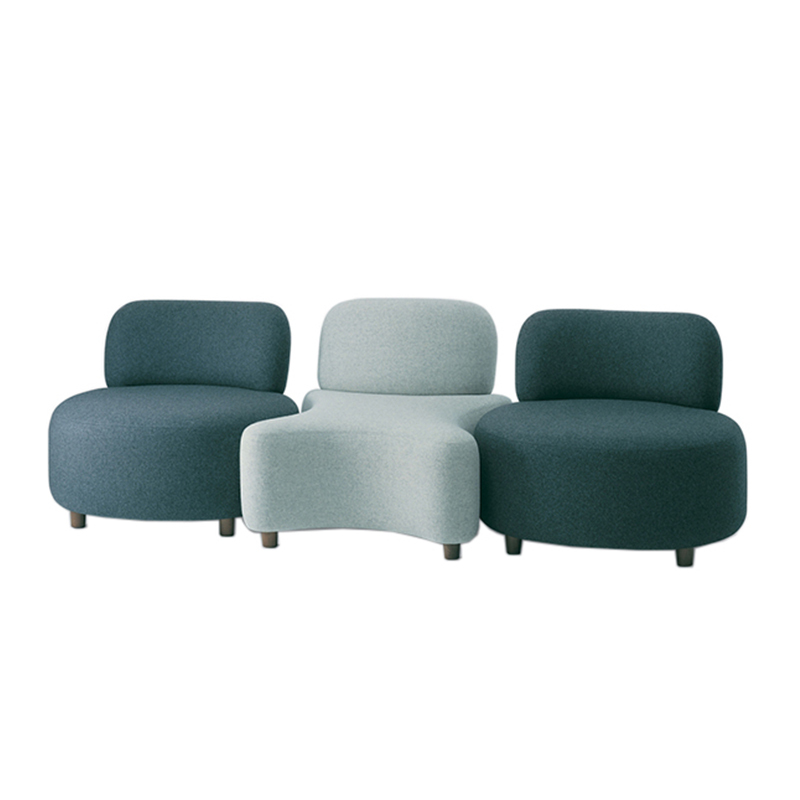 Comprising seat unit with or without arms, a pouffe and a mini side-table, the elements can be combined in many ways and covered in a wide choice of fabrics. 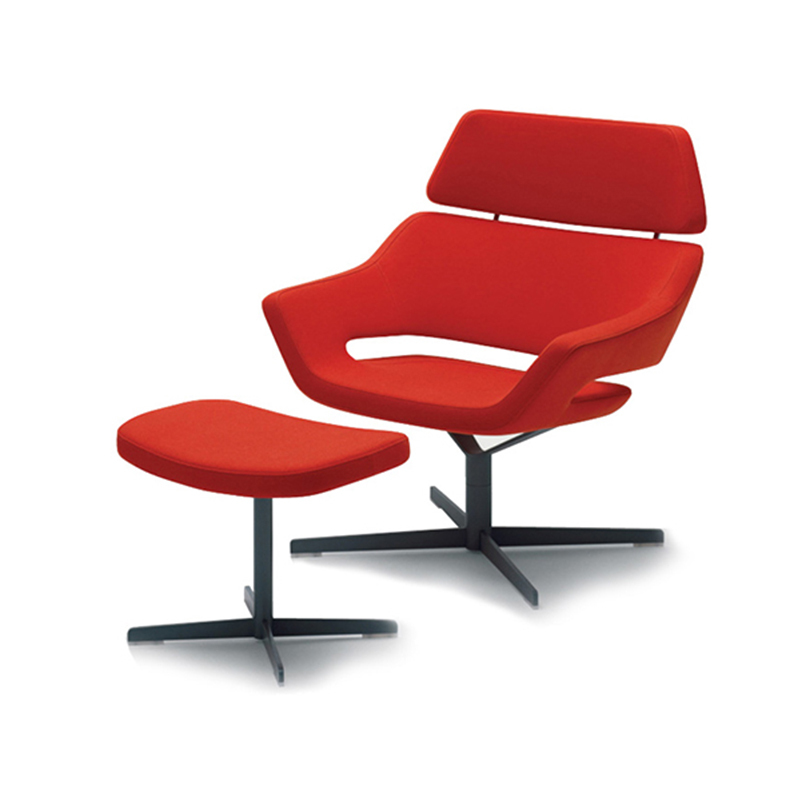 Demackerﾒs dynamic lounge chair provides superb comfort through the natural flexing of its preformed plywood shell. 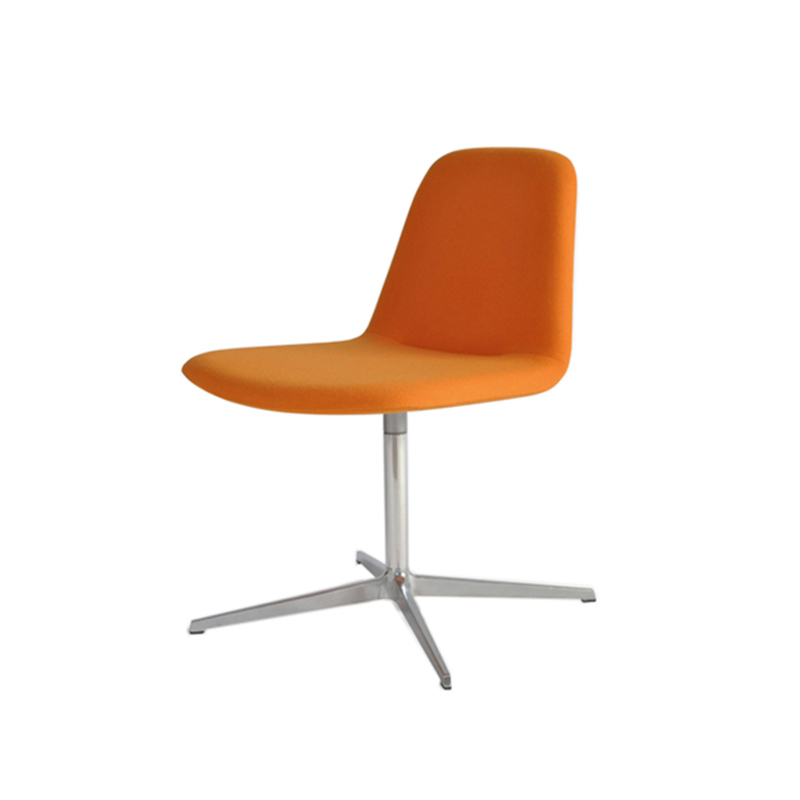 Available in both low- and high-back versions, with or without armrests, the chair has the option of either a chromed skid base or polished aluminium swivel pedestal. 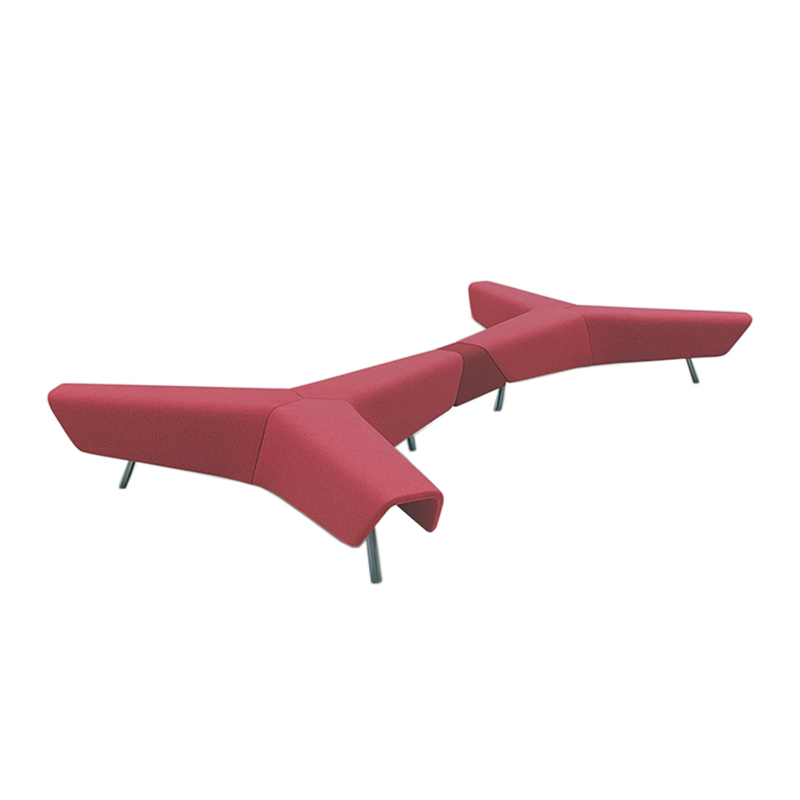 Designed for his award-winning Oyster House, Nigel Coates' 'Oxo' seating system is based on two complementary forms that can be used together to create dynamic and flexible arrangements, or as individual seats. 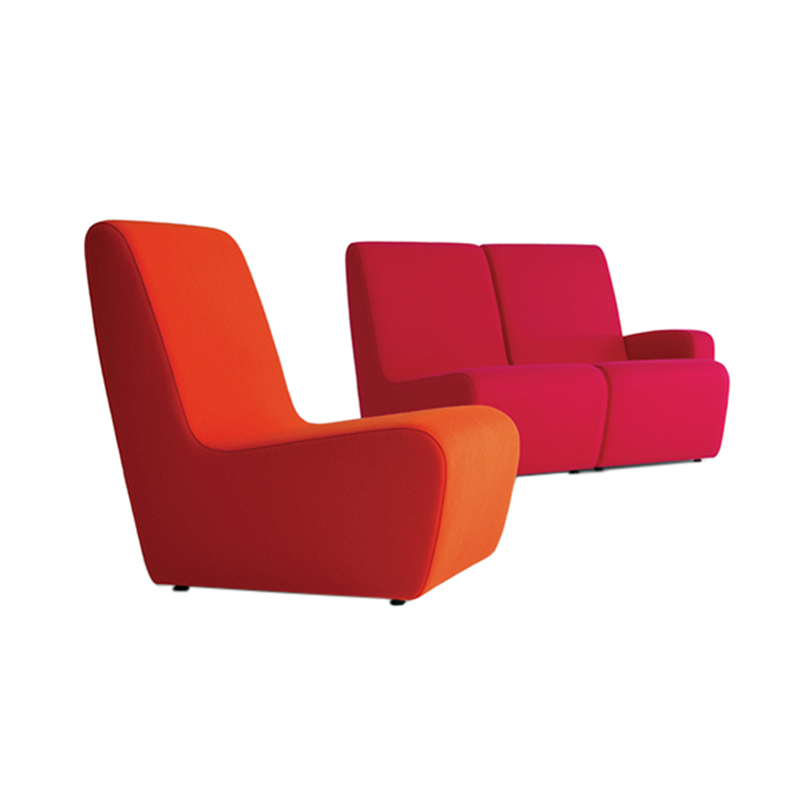 A chaise longue, small pouffe and side table complete the range. 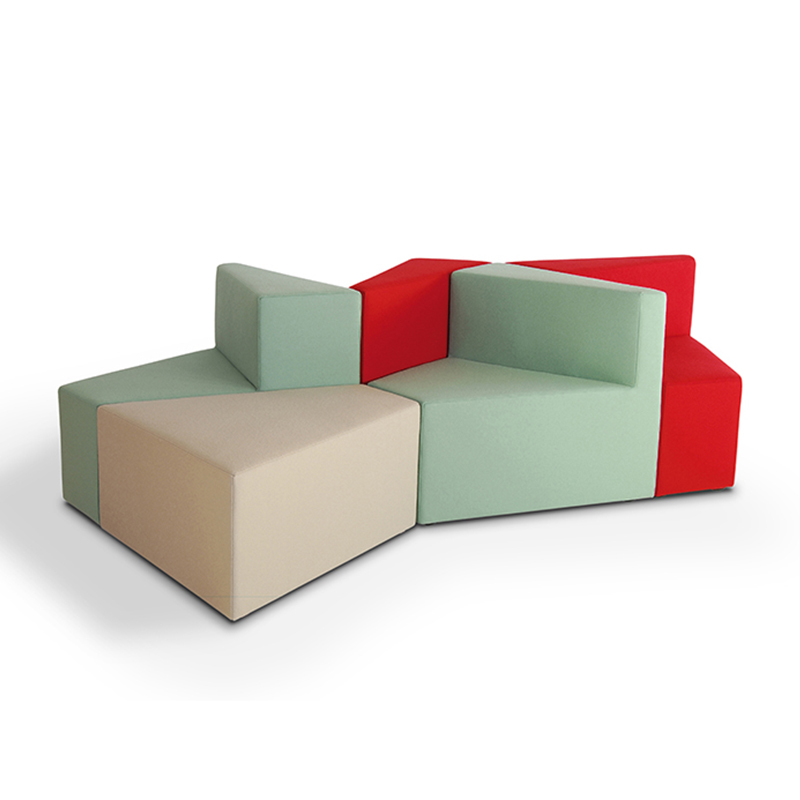 Kazuko Okamoto's hm77 'Cake' seating is a simple, inventive and playful seat unit that combines and links to form interesting crystalline forms. 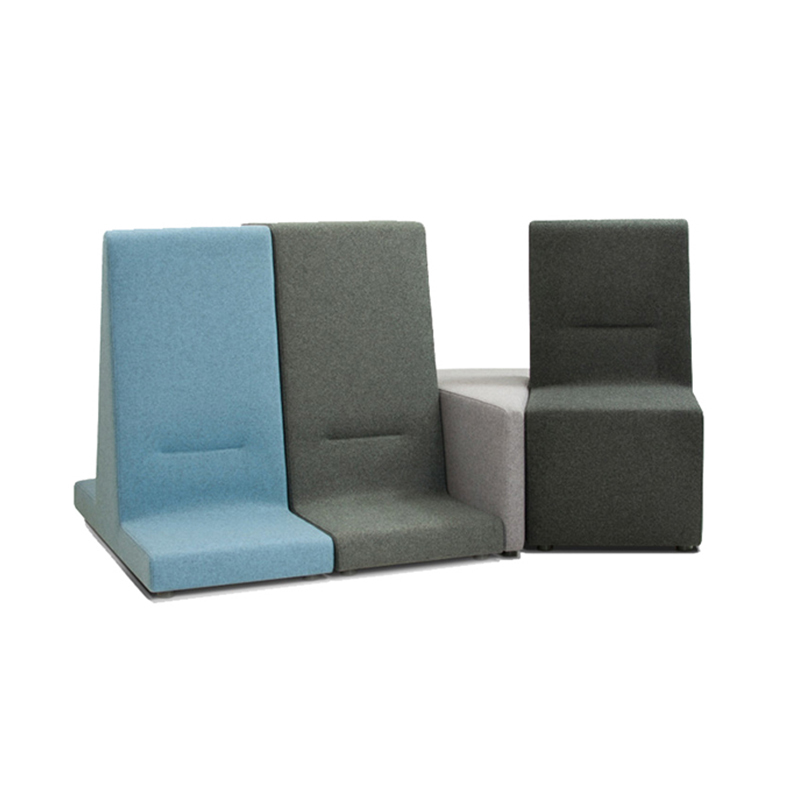 The simple geometry of the wedge-shaped seat is available in three versions: with left- or right-handed backrest, or without back. Designed for both contract and domestic environments, Simon Pengelly's generously proportioned hm85 armchair is characterised by the meticulous detailing of its sculptural form and skilful tailoring.